The “holiday season” can often turn sellers off from listing their home. This is actually a great time to list! Buyers tend to be more serious this time of year, meaning ready to find a home and get settled. There are not as many homes on the market due to the busyness of the season. When you make the decision to list, keep these few tips in mind for decorating. 1. Clean/de-clutter – Before you put any decorations up, you need to have a fresh palette. This is a great opportunity to pack away any clutter and personal items. While listed, you want your home to appeal to everyone that walks in. 2. Cozy is nice – The holidays are a great time to make your home feel cozy and warm. Some light throws, a bowl of pinecones, a nice green wreath are neutral but warm. A pot of cider or cinnamon simmering on the stove during a showing creates an inviting fragrance this time of year. 3. Complement your decor – Keeping the decorations simple is important, but you also need to compliment your color palette. If your walls are a soft blue you will want to stay away from sharp red shades and the traditional colors. You can replace all of the Santa statues and berries with pops of white and silver. 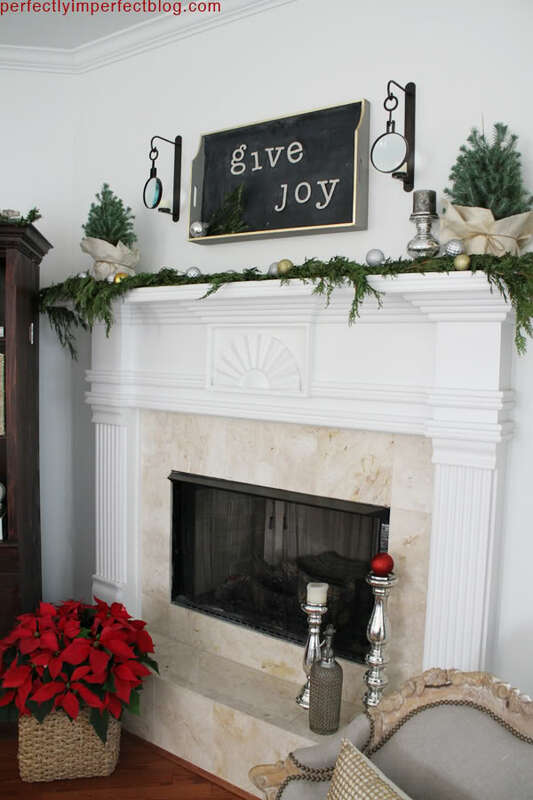 Try not to cover the fireplace with stockings and heavy garland, it is a great selling point in the home and you want to keep it featured. 4. Tree time – The Christmas Tree is the highlight of your holiday decor. Keep in mind your space when choosing your tree this year. If you have a two story living room, a tall tree will accent the height of the room. If you go tall, don’t forget about the width. You may need to go tall and slim to keep from overwhelming the floor space. Another tip is to keep the tree trimming simple too! It is a good idea to pick just a couple personal ornaments, otherwise keep it simple and again coordinating colors with your everyday room palette. 5. Curb appeal – Don’t forget curb appeal is so important while your home is listed. Stay away from large decorations like blow-up characters or a lot of colorful lights. Keep it simple, maybe highlight the architectural shape of the roof with white lights, simple candles in the windows, draw attention to the beautiful fur tree in your yard. This keeps the look festive but buyers can visualize what your home looks like year around. 6. Less is more – This time a year is magical and beautiful. We want you to keep your home ready for buyers to fall in love with, so that next year you will be celebrating and decorating your new home however you want!